Peter Locke built two sister boats to Joan and both were lost at sea so Joan is a survivor. 14th January 1933 “June” was launched for Reg Grey. 10th May 1933 “Joan” was launched for Alex Jackson who’s eldest daugther was named Joan. 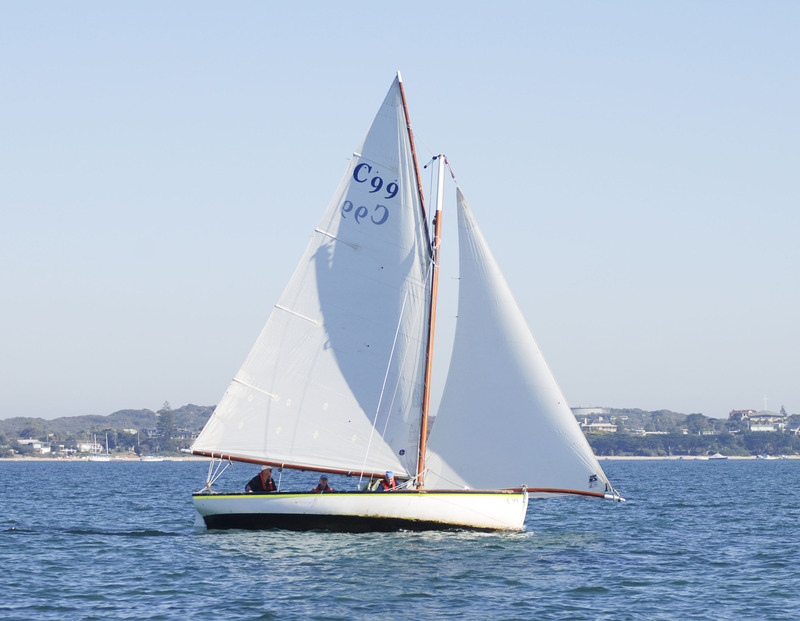 1st October 1933 “Bell” was launched and reportedly was the prettiest of the three boats. Owned by Dr. Black Bell split in two and sank off Portsea in 1938. Joan went to Port Fairy for fishing and then was sold to “Wingy” Newman of Rye around 1939. 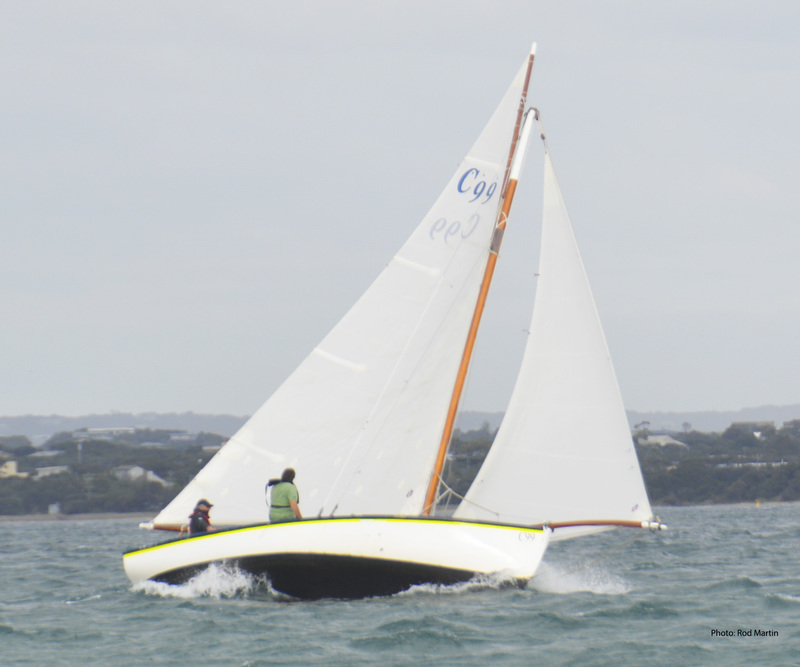 Peter Locke, Joan’s builder, sold his boat building business to Cayzer in 1948. In the 60’s Wingy moved to Queenscliff with Joan. In the late 60’s she went to Port Fairy and in the early 80’s a local dentist, Rodney Robertson converted her to a cruiser. Her mast and centerboard were removed and a half cabin complete with a self draining cockpit was installed along with a Lister diesel engine. 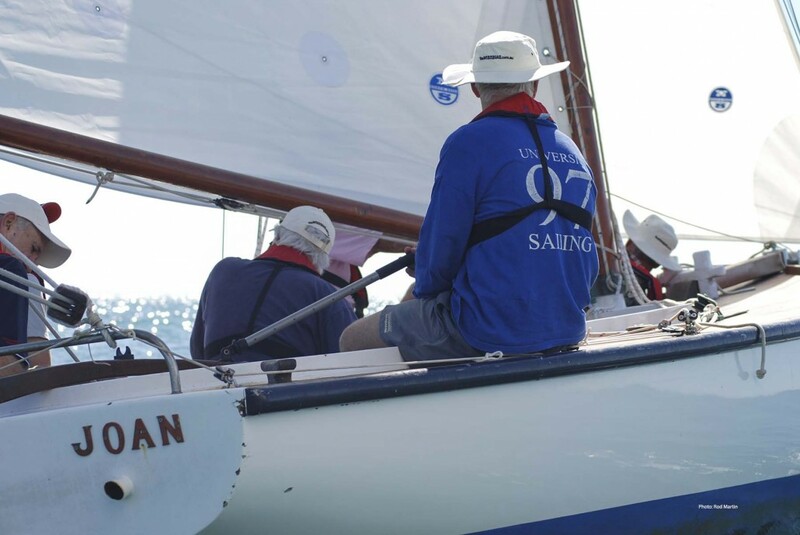 Subsequently, Gary Stewart, boat builder, refurbished Joan and restored her to sailing condition including removing the half cabin, a mast, a new deck, centerplate case and a new Saab engine. 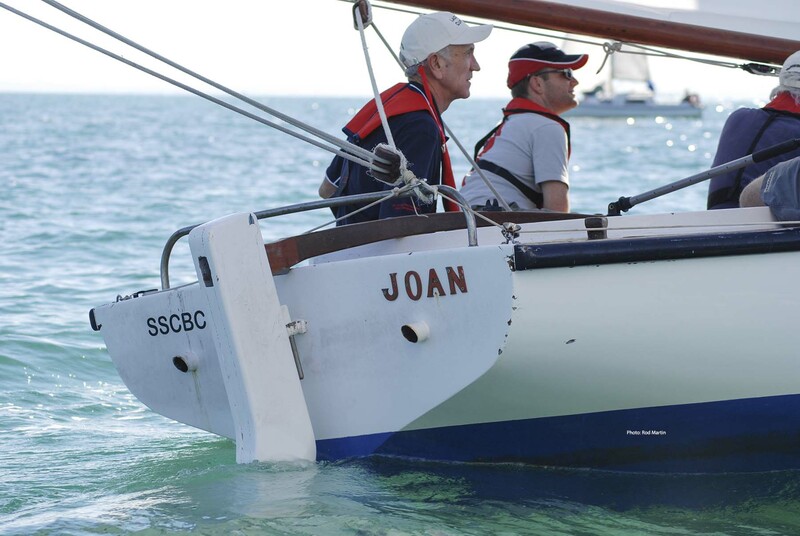 Joan was purchased by Greg Gibson of Sorrento in 1986. 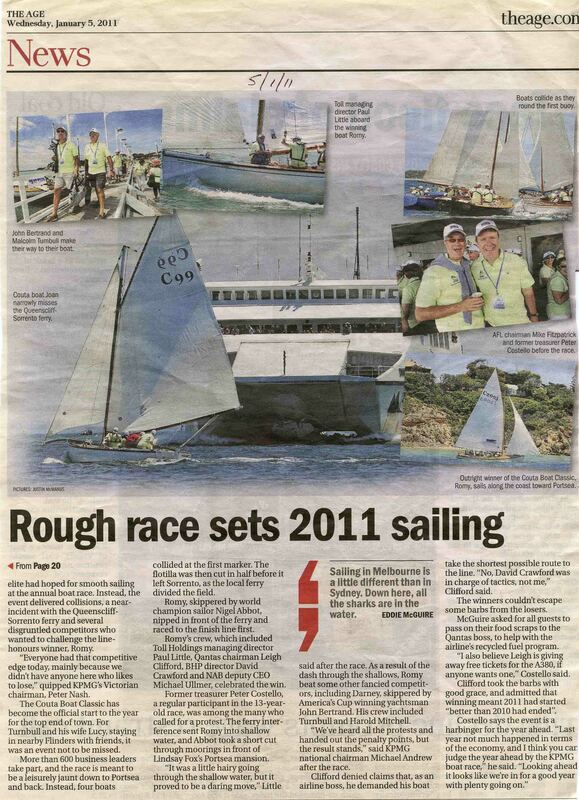 Trevor Martyn (Club Captain and Vice Commodore in 2015) and Ken Matthews bought Joan in May 2006. 07-08 Aggregate Winner for both Line and Handicap Honors. 07-08 State Title Winner & Australian Title Winner for both Line & Handicap Honors. Various other line & Handicap wins over season 07-08.